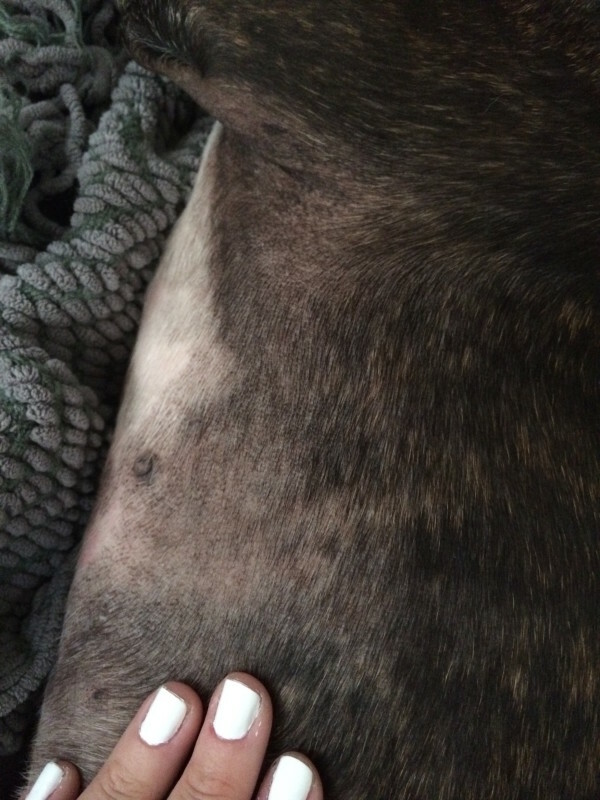 Dog mom, Heather Pellerin, was frustrated and upset about her adorable pup, Noah’s allergies and skin problems. For years she tried various treatments, medicines, topical ointments and different foods to stop his almost constant itching and redness. Then she found Dr. Harvey’s and changed Noah’s diet and almost overnight the itching stopped and the redness went away! She shared Noah’s before and after photos with us and the story of her journey to find the diet for her beloved companion, that changed his life! Thank you, Heather, for sharing your story with us. We hope your story will help other pet parents who are looking for a solution for their companion. 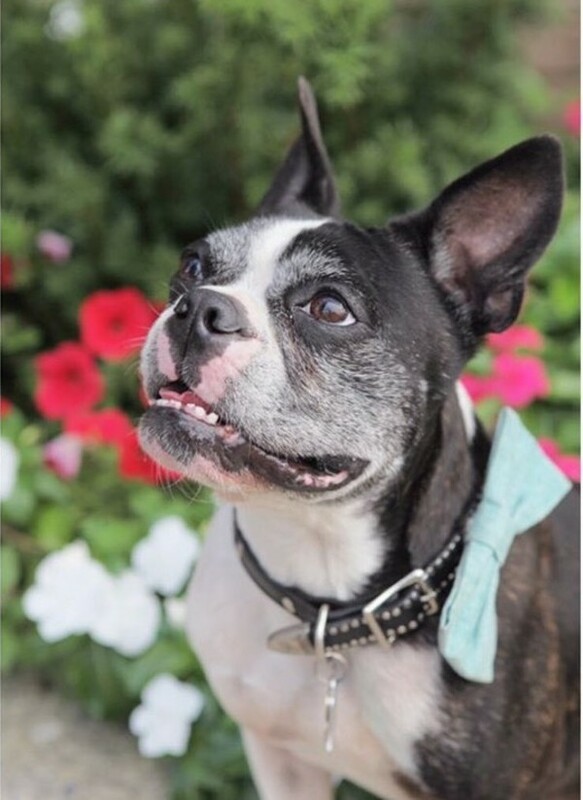 For as long as I can remember my 8-year-old French Bulldog mix Noah had struggled with itchy skin, hair loss and CONSTANT scratching. 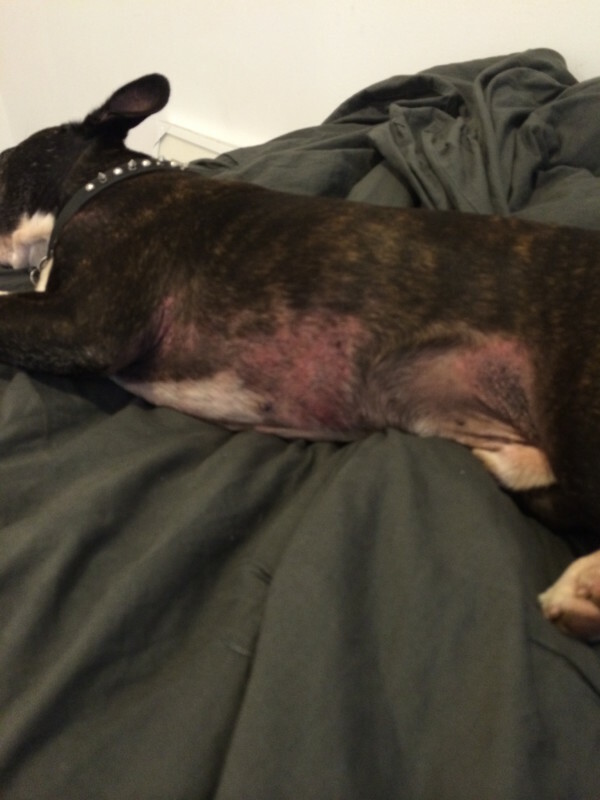 After a few very expensive trips to the vet, Noah was diagnosed with “severe skin allergies”. Even though I was happy to have an actual diagnosis the vet explained that allergy testing can be very expensive and usually does not narrow down an exact cause of the allergy issues. I felt hopeless and I wanted nothing more than to provide some relief to Noah. I tried topical shampoos, medication (that was surely harmful if he was on it long term) and different brands of kibble. While some provided temporary relief, his itching always came back and sometimes even worse. While doing research online to figure out how to help my poor baby, I was thankfully able to find the Dr. Harvey’s brand. I loved the idea of feeding a home cooked meal with natural organic ingredients. While I didn’t think it would completely fix his “allergy” issues I thought it would at least help his skin and feeding him natural ingredients couldn’t hurt either. I Saw Relief in Just 2 Days! After about 2 days of eating Dr. Harvey’s Oracle-Grain-Free food, I not only noticed his skin became less red and inflamed but he also had a whole new outlook on “meal time”. I previously thought that Noah picking at his kibble all day was just how he preferred to eat but after two Dr. Harvey’s meals, I instantly noticed that he had a great new appreciation for mealtime. He started looking forward to his meals and ate everything in ONE SITTING. I mean there was NO veggie left behind. One week on Oracle relieved his constant itching. And then the scabs under his armpits and on his belly began to heal! I honestly could not believe it!!!!! I have included photos just so you can see the difference this has made in Noah’s life! I thought that like all our other quick fix remedies (shampoos and meds) that his itching and discomfort would surely be back in a week or two . I can happily say that Noah has been on Dr. Harvey’s for THREE years now with NO itching. 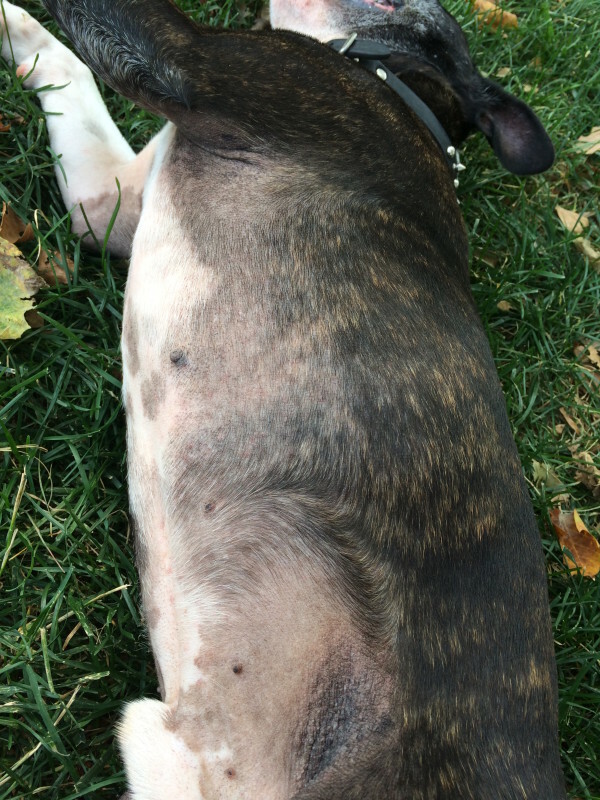 He is a happier, healthier less itchy dog and my anxiety over his constant scratching has gone away. Thank you for saving my dog and making such a great food!!! We now use Dr. Harvey’s Veg-to-Bowl and Paradigm, with the same great results! Try Oracle Grain-Free for Your Dog!